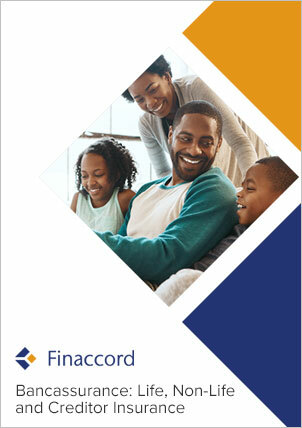 Finaccord’s report titled Creditor Insurance in South Africa offers uniquely detailed insights into the market for creditor insurance, sometimes also referred to as credit protection or bond protection insurance, as acquired by individual borrowers in South Africa. Drawing on the results of a survey of 35 lenders, the study analyses the distribution of creditor insurance by banks and other lending institutions, how provision rates vary for different lending products, operating models used for arranging creditor insurance, and distribution partnerships weighted by the size of distributors. The PartnerBASE™ dataset that accompanies the report details all creditor insurance distribution deals traced by Finaccord. In short, this study will provide you with the definitive guide to current and future opportunities in creditor insurance in South Africa. quantification of creditor insurance market size and growth with a timeline from 2011 to 2015 and onwards to 2019: how much is this market worth in South Africa and what is its future development potential? consideration of operating models used for creditor insurance: how advanced is the use of captive and joint venture underwriters by lending institutions in South Africa and what are the opportunities for external underwriters? investigation into alternative distribution channels for selling creditor insurance: a number of factors could increase the potential for entities other than the lending institutions themselves to sell creditor insurance in South Africa.